Lauren joined our team as Office Manager in January 2017. Lauren has worked in the customer service and office management industries for years. She is professional in every way and thrilled to be a part of our team! Her focus is giving patients the most outstanding care and service possible. Lauren is from Pawlet, VT and mother on one. She enjoys cooking, baking, gardening, and outside activities with her family and their dog. 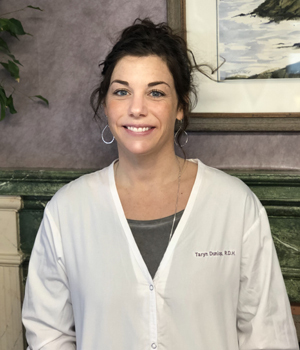 Taryn has been working in the dental field for five years and counting. She attended the dental hygiene program at Vermont Technical College, and is certified in periodontal laser therapy, radiology, and CPR. She continues to take continuing education courses on a regular basis. 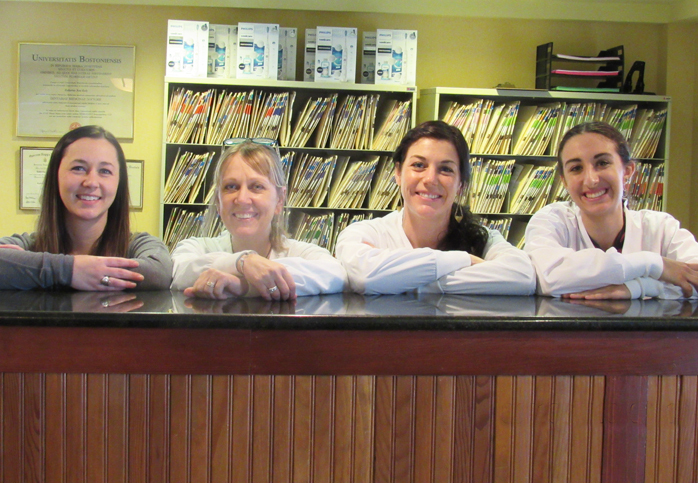 She loves working with people and finds it so rewarding to see the overall dental health of her patients improve! Originally from Arlington, Taryn is a mother to one dog, two cats, 12 chickens, and a goldfish. She loves gardening, snowboarding, hiking, kayaking, and cooking. 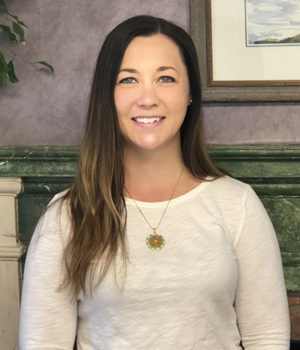 Courtney Marsh joined our team in April 2017. She was a practicing veterinary technician before deciding to explore a career in dental assisting. She is certified in dental radiology, CPR and first aid. She enjoys improving people’s lives by improving their smiles in addition to experiencing all things “tech” available in the dental practice. She is from Wallingford VT and has one son in addition to 2 horses and a Yorkie. In her free time, she loves to volunteer at a local rescue squad and is a volunteer firefighter when she is not showing her dogs and making crafts. 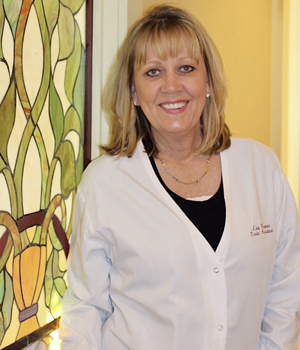 Lisa has been a part of our team for 20 years now, with 30 overall years of experience in the world of dentistry. She has trained at the prestigious Pankey Institute and is certified in CPR, first aid, and radiology. She continues to pursue continuing education on a regular basis. 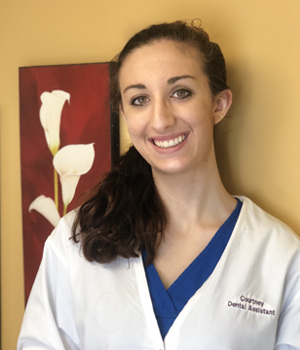 She has several favorite things about her job, including interacting and educating patients, helping people feel at ease so that they have a great dental care experience, creating beautiful smiles, and being able to be a part all the latest and greatest dental technology! Lisa is originally from Salem, NY, and she is a step-mom to two and a mother of two furry friends. Outside of work, she enjoys traveling, hiking, and photography. One interesting fact about her is that she has shared her home and cared for a developmentally disabled young man for 19 years and counting.